The FinTech revolution is forcing the financial services industry and everything it touches to evolve quickly. Thousands of companies are competing and collaborating to facilitate transactions and other financial activities. Nearly every stakeholder in the industry benefits when these processes run on digital lines with the help of new technology. Driven by a powerful blend of innovative start-ups and major technology players, the global Fintech industry, is growing a pace and it is nearly impossible to keep up to date with all the fast-moving developments in payments, FintTech, mobile, e-commerce, and everything they touch. Utilising such technology and innovation such enterprise has been able to capture market share from incumbents in many areas of financial services. While the FinTech entrants’ greatest impacts to date have been at the retail end of the market, the opportunity for collaboration in capital markets is real and growing; this is great timing given the challenges faced mean that innovation has become mandatory. In this 1st International Islamic FinTech Summit, hosted by Ashurst LLP, we shine a light on the financial services industry, examining why and how firms across the globe, from both the Islamic and conventional finance industries can and should collaborate with FinTech organisations to drive their own evolution in the years to come, and to secure their future role and position in the fast-evolving financial services ecosystem. Besides the US and UK, there are plenty of other countries developing strong FinTech hubs. Australia, Switzerland and China, have managed to leverage their stable financial centres of Sydney, Zurich and Shanghai, respectively, to spur FinTech development and attract funding. There are also a number of emerging FinTech markets, including Brazil, Israel and Canada that are likely to play a big part in the global FinTech ecosystem in the future. These countries have nascent but rapidly developing FinTech hubs, as well as supportive regulatory environments, that could help them cement strong positions in the broader FinTech scene. Many more FinTech hubs will also likely morph into big FinTech players. This could push investors to increasingly wake up to the opportunities in new markets, leading FinTech funding to become more diversified in the future, particularly outside of the UK and US. The Islamic FinTech Landscape published in December 2017, found that of the approximately 116 Islamic FinTech firms globally, 18 were founded in the UK, making it the second largest hub for Islamic FinTech after Malaysia with 21. Indonesia has 15 such firms, the UAE has 15 and the US has 14. In other Islamic jurisdictions, with the growth of FinTech across the Gulf Cooperation Council (GCC) and generally across the Middle East and North Africa (MENA), it is impressive to see what the regional ecosystem have also achieved in recent years. For instance, Dubai has delivered the FinTech Hive accelerator, and the Innovation Testing Licence, a regulatory sandbox. Abu Dhabi has launched the RegLab, a regulatory sandbox. Bahrain has launched a Regulatory Sandbox, a FinTech Unit for the central bank, and FinTech Bay which is the largest FinTech hub in MENA. In South East Asia, Malaysia, according to a Fitch Report published in April of 2018, had the potential to be a world leader in Islamic FinTech. The report also suggested that further developments from the government, the central bank and support from the country’s sound telecommunications will give Malaysia the boost needed to grow Islamic Fintech. The research firm said Malaysia’s Islamic banking sector was worth US$202 billion last year, while its Islamic loans also more than doubled to 30.2% the same year, compared to just 7.8% a decade ago. It noted Malaysia has a developed infrastructure, an increasingly affluent and tech-savvy population, and high mobile and broadband penetration rates coupled with fast internet speeds. The government’s investment, to build up its digital economy, contributed 17.8 % to the GDP in 2016 and is set to hit 20% in two more years. “We thus believe that the Malaysian government’s on-going push to develop the digital economy will provide tailwinds to the fintech sphere, with the government viewing FinTech as a crucial part of the broader push,” . “The signing of a Memorandum of Understanding (MoU) by MIMOS and the International Center for Education In Islamic Finance (INCEIF) to develop a blueprint for an Islamic finance-based investment technology is likely to lay the foundation for the development of Islamic FinTech in Malaysia,”. The report noted that MBSB is expected to launch FinTech capabilities in the third quarter of this year and internet banking by the end of 2018, enabling customers to acquire wealth management products, trade facilities and real estate online. “We believe that these efforts will also be supportive of the overall banking sector over the coming years and forecast loan growth to average 6.5% over the next five years,” it said. 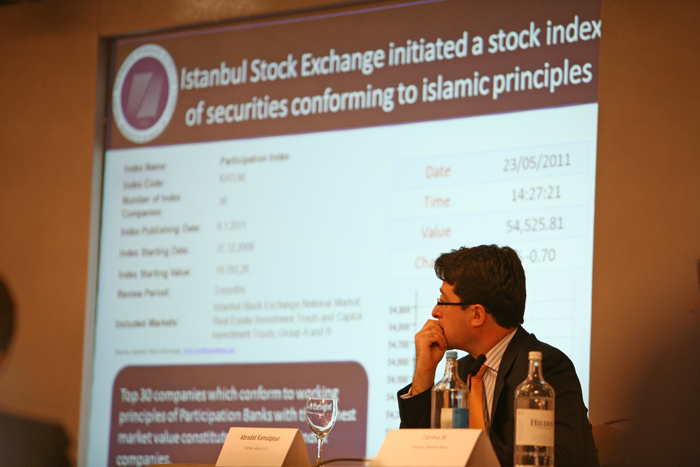 We will soon see Islamic Digital Challenger banks and Sukuk (bond) ETFs enter the market. Islamic FinTech will enable Murabaha (asset backed interest free loan) instruments around buying and selling goods in addition to Takaful (insurance). Shariah compliant investment funds are currently being designed to use to invest in micro, small and medium size enterprises and digital infrastructure. Blockchain will enable the opportunity to revolutionise Islamic banking by adapting standard Islamic Finance contracts to smart contracts and cutting cost of services by up to 95% with an immutable record of ownership and assets. Islamic FinTech promotes ethical responsible finance, and presents an opportunity to lead and influence all forms of finance globally. The road ahead presents a balance of opportunities and challenges to Islamic FinTech. Last year, less than 3% of global venture capital went into Islamic geographies. MENA and Sub Sahara Africa (SSA) will be 50% of the world’s population by 2100, and there are 1.8 Billion potential customers of Islamic FinTech in the world today. As the Islamic FinTech ecosystem matures, there are also emerging developments in the institutional and capital markets. With over 170 Islamic Banks, and 80 further banks that offer Islamic Finance windows, putting balance sheets to work on global Islamic FinTech products is a key part of the future. The World Economic Forum, the authors of the 4thIndustrial Revolution, estimate the global investment in digital infrastructure requirements from Community Service Providers (CSPs) alone at 300 Billion per year, and growing steadily at 10%. The next phase of growth in Islamic banking will be driven not just with the offerings that are compliant of Shariah and its positioning vis-à-vis conventional banking but will have to be on the basis of differentiation, driven by innovation. The global requirement for digital infrastructure investment presents an opportunity for Islamic banks, asset managers and investors to harness these opportunities through both Islamic and non-Islamic economies. The 1st International Islamic FinTech Summit will bring together industry leaders from both the Islamic and conventional sectors to discuss, explore and identify the abundant opportunities that “ Islamic FinTech” offers opportunity to transform the lives of millions of people globally.